Jessica N. Abraham – Jessica N. Abraham | Designer. Writer. Publicist. Shorty Produkshins has prided itself on keeping ahead of the competition by being early adopters and evolving our services to meet the needs of our growing audiences. We started as that tiny little studio, consisting of a computer and a closet, and delivered many phases to our most avid supporters. Many of you remember our plaza location and our studio suites. As time evolved and industries became saturated, we evolved. 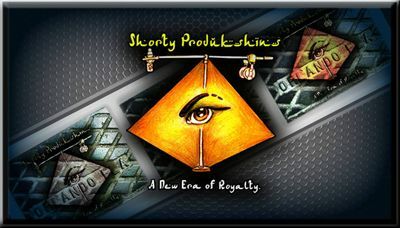 Shorty Produkshins has always given the audiences a “new era in royalty” through this constant growth. Focused on the media, owner, Jessica N. Abraham began growing closer ties with many of the media platforms she worked for over the years. She began to realize that these media ties were great in supporting her public relations clientele. With over 16 years of expertise in social branding, this service was only going to be enhanced by combining services with those of the public relations sector. And, then… Shorty Produkshins would change forever! 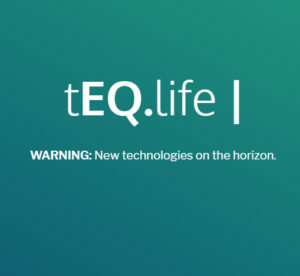 As IT companies are shifting towards all-in-one integrations that promote “productivity, collaboration and communication,” we are enhancing our internal productions, partnering more frequently and communicating to our audiences more. We are making them part of our endeavors. We aren’t just making them part of the conversation, we are making them the conversation. While we will still cater to clientele directly, we are shifting our focus to the community. We have built clout (and Klout) over the years. You have been faithful to us, and we are grateful for that. We have come with a new plan of action in serving you… the everyday person. In 2016, we shift gears to the community. We shift gears to return the support. In order to continue creating opportunities for you, we must keep evolving us! In the past, you may have noticed long periods of time that our websites weren’t even finished. This is because we focused on our client’s work, pushing our own work to the back burner. Over the last 13 years, we have been a mostly referral-based company. Our clients speak on our behalf, as they return for more. Our clients have even given us permanent positions within their own companies. If you ask Mrs. Abraham-Hogan what makes her continue to do what she does with Shorty Produkshins, she will tell you that it is all the support and loyalty she has gained over the years. It is her hope to create a balance between genuine customer service, the people and humanity. As society corrupts, she feels a duty in giving the people hope for change. As innovation explodes, she loves being the first to tell you (it’s probably the little kid in her)… As misinformation is spread, she wants to be sure people are educated. She wants to help a young generation succeed and small businesses stay open. She wants to see people reach their full potential and to be a helping hand. Today, November 12, 2014, Examiner sat down with Playas Mob Radio of WJFP-FM and discussed how they are combining traditional, Online and modernized marketing efforts in “breaking independent artists, brands and causes, Worldwide.” And, while there are many Online radio stations and shows saturating the World of Streaming Radio Broadcasting, Playas Mob Radio is doing “it” a bit differently. Playas Mob Radio is a radio show dedicated to independent artists, brands and causes looking to expand audiences, create awareness and be heard by those who matter — often times that A&R, who is scouting out new talents. Other times, it is the potentially shareable fanbase of the featured guests to the show that week. Guests in the past have included Industry Professionals, both behind the scenes and in the forefront of the industry, such as Kevin Shine of the F.I.R.M., Willie “Bum Bum” Baker, Tameka “Tiny” Harris, Sanchez Holmes, OMG Girls, Rico Wade and Sleepy Brown of Organized Noize, Big Boi of Outkast and many more! While the show is made available, Online, through Tune-in Radio’s Web & Mobile App Platforms and WJFP.com, “the coolest radio show in the World” is actually available live on the FM dial! Playas Mob Radio is broadcasted on six FM-station buffers reaching out to Central and South Floridians within the broadcast area. 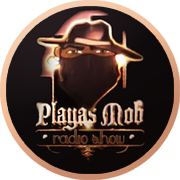 Playas Mob Radio was commenced in 2010 after Ron “Good” Hogan, James “Bootmayne” Minus and Jarvis “Money J” Anthony decided it would be an excellent means of showcasing music created by Playas Mob Entertainment, an entertainment company founded by Mr. Hogan and Mr. Minus in 1999. Since then, they have been “…dedicated to breaking Independent Artists, Businesses and Labels, while providing a platform of PR to those who have already established themselves within the entertainment industry and veterans who may provide entertainment to listeners, Worldwide. 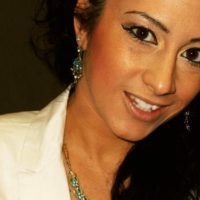 Playas Mob Radio is currently in the works of creating and releasing an Online presence similar to Facebook and Linkedin that “encourages cross-promotion, collaboration, artist development and unity within its pages,” according to their Director of Marketing and Public Relations, Jessica N. Abraham, who has only been with the show since this past summer. In addition to a magazine, the Playas Mob version of a social network will also include discussions on business, economy, sponsorships, the entertainment business and more. There will be a chat room, “tons of videos,” music, archives of past shows and even a live broadcast link to listeners outside the FM reach. Here, fans may also connect directly with their favorite On-Air Personalities, including “Mr. Good,” “Bootmayne,” “Money J,” Tracy “East Coast T-Mac” Morgan, “Mz Shorty P” and the new personality, Jesse “Boss J” Anthony. Fans within the physical listening areas are able to go to the site for more information on Playas Mob events in nearby cities, including weekly events in Orlando, FL, and to be redirected to purchase “beats,” or Hip Hop instrumentals, by Bootmayne, who is also a Producer for Playas Mob Entertainment. Connecting with direct audiences in both Online and Offline realms, Playas Mob Radio has created a culture within their own niche. Listeners are “always connected” through mobile, portable and desktop devices, and taking advantage of Online Promotion ensures that they will become part of that culture. Active on Social Media, Playas Mob Radio draws in and interacts with listeners on official accounts, as well as on those of individual personalities. With additional platforms preparing to launch, there is much potential in connecting audiences with unsigned, upcoming talents, their favorite celebrities and legends, new ideas and products and, of course, the inspiration to follow their own dreams while educating themselves on strategies to do so. Brands, both corporate and local, have much to gain through advertising on these channels. Advertising has not died yet, and Playas Mob Radio has implemented ways to not only advertise trusted brands to their audiences but how to allow them to experience these brands first-hand in encouraging Brand Awareness and Loyalty. Because Playas Mob has set up this “Conspiracy 2015,” it has led to many listeners to adopting advertised brands, as trendsetters and early adopters, as well as in spreading the word on these products and Playas Mob Radio, itself! This year alone, Playas Mob Radio has expanded its listening bases greatly! Where it was once listened to by audiences around the United States, Canada and the United Kingdom, audiences in Australia began tuning in at great numbers. More recently Ghana, Germany and Morocco have been, as well! While listeners are tuned in multiple countries all over the map, these particular countries have been gaining numbers very rapidly, which only goes to show that Playas Mob Radio IS “the coolest radio show in the World!” That’s not that bad for a radio show started by three young men in Fort Pierce, Florida, who sought to have their music heard, now is it? Check out Playas Mob Radio on Saturdays from 8:00 PM Est until 9:00 PM Est on WJFP-FM. You can listen in LIVE via WJFP.com, or through TuneIn Radio’s Web & Mobile App platforms. Archives of previous shows can be found on SoundCloud. Elements of Internet Marketing: Brand Social. DISCLAIMER: Every once in a while, we cover “Elements of Internet Marketing” and why they are important for everyone to be aware or reminded of. Some of these topics are not new, but they are very important to consumers and service providers to repeatedly encounter and understand. Today’s “Element” is related to the topic of “Branding Social”. Enjoy! As you have noticed in earlier articles, branding is one of the key elements in making “everything” come together and work properly. We have discussed archetypes and why they are important to a brand. We also discussed how archetypes and branding are what actually dictates the direction in which marketing endeavors are to go. The next point of branding we are going to cover implements the brand presence, spoke about also in a previous post, and how it relates to your audiences and fans Online. I recently had a discussion with a colleague on the levels of clientele one might have. Sure, you will have niche markets based upon interests and specific calls to action. However, through the implementation of the web and the use of social networks, the spectrum of opportunity has been broadened. Versatility is one of those fine-line topics. Versatility can easily lead to the controversy surrounding the “Jack-of-all-trades, Master-of-none” paraphrase. The final perspective is that versatility is a very bad thing. Now, if you limit the usage of these “additional skill levels” to a minimum in helping to benefit and strengthen your brand, it is a great thing. Hence, the sky is blue but can also be grey! Versatility, as related to target markets on a broadened-yet-basic level, are key in deciding specific marketing sets. After all NOT keeping in mind these many types of consumers, you have the chance of seeing a domino effect that will ruin your endeavors altogether! These markets, through hierarchy, include those of corporate, organization, client, customer and consumer. We have to decide how to appease these markets while appealing to our niche. The reason is because how we conversate, what we upload, what we share –how we are perceived– is dependent upon the tastes of our audience and what will lead them into taking us seriously. There is so much that I could talk about on this subject that I might as well write a book on it! But, let me cover this topic a bit before moving on in this conversation, leaving out the trade secrets and psychological elements. Relationship to a Brand: Sponsors, Partners, Affiliates, Investors. What do They Expect? : Professionalism and Professional atmosphere. Conversions. Product to be Provided: An ROI, mutually benefiting business arrangement. Relationship to a Brand: Supporters, Cross-Promoters, Partners, Supported-by, Influencers. What do They Expect? : Professionalism, ethic and mutual benefit. Product to be Provided: Something in exchange for something, tangible or intangible. Mutual benefiting relationship. Relationship to a Brand: Pays for Services and Products. Product to be Provided: Something tangible and/or intangible to fulfill the need of a customer, while attracting and converting consumers into customers. Relationship to a Brand: The End-User. Products and services are meant for this person’s consumption and are paying. What do They Expect? : A need to be fulfilled to satisfaction. Product to be Provided: Something tangible, such as an actual product or service in exchange for cash. Relationship to a Brand: May or may not be a customer. They may be what creates virality and Word of mouth. Has a general interest in your work and may become a customer or client one day. What do They Expect? : Entertainment and substance. Something that they can use to fulfill a need. Product to be Provided: Something intangible such as websites, artwork, social media, conversation. In order to brand socially, meaning having a social presence Online in order to promote and market your brand, you have to keep these values in mind based upon the “company you keep.” If any or multiple market types are non-important to you, you may exclude them from your current plan. But, keep in mind that literally everything you emit is saved on the web somewhere. So be cautious in exactly what you post and upload for public consumption. One day, you may include these excluded markets into your business plan. It would be a shame if your reputation was soiled over something minor; and this would be the reason to miss out on opportunities for expanding your brand’s future. In fact, beware of any written or recorded medium, for competitors and brand enemies may use it against you in form of mp3, video or screenshot upload! When involving the net for professional work, try to stay professional. Even if your archetype is that of the “Villain.” We can love to “hate” you, as long as you stay “about business” the whole way! Back on topic, branding socially — or social branding — is the most important element in creating the perfect Brand Persona. The Brand Story is told through an interactive, digital journal comprised of uploads, status updates, polls, blogs and conversation. This is how you will include and interact with your audiences every step of the way, even lurkers who sit back and pretend to be invisible. They get the feeling of contribution to the brand’s success story. In being “friends” with the brand, your brand gains loyalty and enthusiasts who will share and contribute to just about anything you post online and then speak about it offline. Your brand becomes a somebody in this “Always On” culture. This is Viral Marketing and Word of Mouth at its finest! This is also the full circle of Brand Awareness that leads to a thriving Brand Tenure (how long the brand can remain alive and in power) that will last for many years to come. Have you ever heard the song by Ashton Martin (Detroit Rapper, National Recording Artist), called “I Know Somebody?” Through Social Networking, everyone “knows somebody that knows somebody that knows somebody that knows YOU…” or BrandYOU thanks to the web! They are seeking “self-motivated” individuals that demonstrate ethics, professionalism and determination to add to the roster. As Independent Contractors, they would be allowed to set their own schedules, work from home and make as much profit from commission as they allow themselves to achieve. They will be marketing in-demand servicing from Shorty Produkshins that is geared towards individual brands, small businesses and non-profit organizations. Elements of Internet Marketing: Fresh Content. DISCLAIMER: Every once in a while, we cover “Elements of Internet Marketing” and why they are important for everyone to be aware or reminded of. Some of these topics are not new, but they are very important to consumers and service providers to repeatedly encounter and understand. Today’s “Element” is related to the topic of “Fresh Content.” Enjoy! Like produce, crackers, and bread over time, content can become stale and less able to do anything great for a brand, other than to stand in to fill space and act as a paper weight. Content is created for a purpose. And, true it is always great for storytelling and portfolio purposes. But, once that purpose has been fulfilled, there is nothing left for that content to do of any remarkable means… other than to hold position for a brand, be part of the brand’s story and acting as portfolio filler. The purposes of content may vary. Content may be displayed for informative, educational, persuasive and entertainment reasons. It can also contribute to an aesthetic experience of a brand’s presence, as well as be implemented for Organic Search Engine Optimization tactic. There is always a need for fresh, new content. It is needed to give a website or interactive platform “the magic touch.” It keeps people returning. It keeps your awareness and presence viral. It continues to expand into new realms of optimization for the brand. And, hey! It gives your brand the credibility that something is always being done! Ultimately, your brand’s influence translates into being a “hard worker” in the eyes of your audiences, gaining a powerful respect from them — even if your products or services are lacking in quality and demand. Fresh content will keep competition competing fairly. After all, they can’t copy what you have done in the past and continue to “one-up” that same content and predecessors every week without feeling the threat of losing clientele, while taking yours. As a matter of fact, healthy competition will keep competing brands sending clientele your way, because “alternatives” are always sought after. The more content available, the more your brand “speaks for itself.” Sales are more easily closed on their own; while more time and resourcing can be spent on pumping out quality products and services. Fresh content will lead optimization efforts in a positive direction. The more content that is created, named correctly and shared amongst consumers, the better. The more backlinks created through content, as well as content placement, the better. Awareness and optimization efforts will skyrocket. More keywords will be “owned” by your brand, and brand expansion will guarantee a lead in the marketplace, as far as Internet Marketing practices go. Fresh content takes away the “stale,” outdated appearance of an idle company even if the client base expands through referrals. That being said, it is wise to update and add new content on an ongoing basis. Why lose potential consumers? Why keep your brand from gaining new consumers? Fresh content is a necessity. Continue creating today! ELEMENTS of Internet Marketing: BrandYOU. DISCLAIMER: Every once in a while, we cover “Elements of Internet Marketing” and why they are important for everyone to be aware or reminded of. Some of these topics are not new, but they are very important to consumers and service providers to repeatedly encounter and understand. Today’s “Element” is related to the topic of “BrandYou”. Enjoy! BrandYOU! Yes, this is a very important topic. I am glad to be writing about it “on demand.” I have covered this topic many, many times within my articles. But, this topic is the most important one that we can ever cover. The reason behind that is that whether you represent a brand or ARE the brand, BRANDYOU can play a major part in your success… “strike that, erase it (Willy Wonka reference).” It will definitely play a major part in your success. BrandYOU isn’t just about Branding. It isn’t even anything to do with Internet Marketing, but it can be. And, that is the problem. But, it is also the greatest thing that could ever happen! That is why it is so important to understand BrandYOU inside and out. Have you ever heard that you need to eat, sleep and dream your business in order to see it take form? Have you ever considered the fact that YOU are a business? After all, don’t you file taxes? Do you file as an individual, independent contractor, sole proprietor or board member? If you said yes, then technically you just proved that you ARE a business, whether you use your own entity, fictitious name or work for someone else’s brand. The truth is, all of these are brands, And the truth is, you are getting paid to represent that brand. As a matter of fact, you are responsible to pay taxes because that brand is alive! Isn’t that interesting? So, wouldn’t it be in your best interest to keep THOSE interests at the ultimate peak high point at all times? After all, YOU are investing so much time into the brand and then paying taxes on that time that can never be replaced. The obvious first step in BrandYou is always to be on your best behavior. This doesn’t mean that you can’t show your opinion. But, it means to act upon how you would like to be perceived. If your brand represents THIS, then you can display THIS in your actions. What she didn’t realize, however, that showing a public interest in a subject based upon her role in the community of her target audience will actually allow her brand to be received as a trustworthy persona and build a lasting brand loyalty that will lead to a long enduring tenure of that brand. It basically all boils down to this: CATER TO YOUR AUDIENCES. If you want to be perceived as an individual for hire, then portray the ideal characteristics of the ultimate employee. If you are a business, tend to your community of followers and those that you want to target in “giving them what they want” and do not give them a reason to think otherwise. This means to be consistent, persistent and show interest in that particular characteristic. Like in previous blogs, I would like you to think of a respectable business person, public figure or entertainer. They all have something about them that stands out, correct? This is something that is overemphasized in creating a character perception of them. Now, look at those characteristics that aren’t “front row and center” in their persona. These characteristics do not conflict with the public perception of that brand. Contradictory elements will keep that brand from being accepted, in turn, they will more than likely remain unsuccessful. Think of an artist that may be perceived as a “thug” or “boss.” To find out that they were once on the opposite side of the law and never really this “thug” or “boss,” we change our persona of that artist. True fans will stay loyal. Those are those who really have learned to love the brand’s product and really could care less. But, others have lost respect for that artist. This leads to lower ROIs and less money in our bank accounts. Keeping realism with your brand or YOU as an individual (BrandYou) and implementing the archetype you have selected for it, you will keep anyone from doubting your mission, vision or even track record. Which means, more often what you say will be taken at face value, respected and believed. If you go slightly off track, we know something is wrong. If you go “left” in your action, we start speculating, assuming and looking for a discrepancy in ALL actions and statements made by your brand. It all really boils down to the ethics of your brand, professionalism and catering to your audiences. As long as you can be perceived as professional, you are entitled to your opinion. If you feel you will offend someone, start by giving a disclosure and allowing them to understand your point or opinion… As yourself, how you have gotten to this ideal or interest? If it is a fellow business person, they more than likely will understand already. As a matter of fact, they may reach out to you in liaising to these markets in cross promotions or future campaigns. They may just send you business or point you in the direction of that business, especially since you may not be competition due to the catering of different audience types. Stay true to yourself, your brand, and consistency. You will be fine! Happy Birthday, Shorty Produkshins! 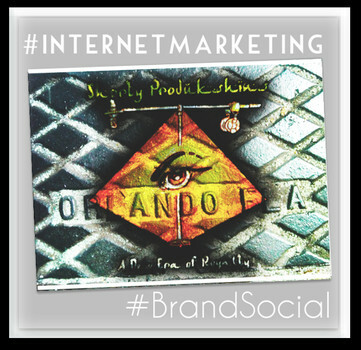 : Orlando Internet Marketing Company now 10! In the last ten years, we have seen a dramatic shift in the way we do business, use technology and how we view the Entertainment Industry. According to CNN Money, those working from home, both self-employed (usually as an Independent Contractor) and working for an employer, has risen 41% in this decade, alone. Everyone relies on technology to accomplish their work and career goals. They want to work more effectively, have more freedoms and time to spend elsewhere, while achieving the largest ROI margins possible for their employer and towards self-benefit. The Entertainment Industry shares this similar story, simultaneous, with innovative technologies leading to the saturation of Independent Artists and home studios. Like smaller businesses, these artists are gaging expanding fan bases and gaining larger profits than in the past, especially those who were once signed to a “Major” and had to pay everyone else before collecting their own profits. Competitors exist. And, so do a million other businesses unrelated to each other. Brand Awareness is a must, and Social Branding is becoming more and more of a necessity than a demand in today’s world. Enter Shorty Produkshins. Shorty Produkshins is an Online Promotions Company, specializing in Social Branding and Event Marketing via Advanced Internet Marketing and Search Engine Optimization (SEO) tactic. For the past 10 years, Shorty Produkshins has evolved into the brand that it is today through the always-changing trends in industry, technology — and of course — demand. This month marks exactly that. This is the 10th-year Anniversary of Shorty Produkshins. According to Robert Greene, an award-winning author, in his latest book “The Mastery,” it takes us ten years of repetitive practice, research and fine-tuning of one particular subject in order to find mastery in it. This timespan can be increased or decreased based upon intensity, depth and acceleration in the practices and execution of the subject matter. Shorty Produkshins has started from the bottom and knows first hand what each and every one of their clients are facing along the way, no matter the subtle differences due to separate industries. Shorty Produkshins started in a weird, yet interesting way. In 2001, founder, Jessica N. Abraham, was to implement a passion of hers into a graduation project for High School. Her passion at the time was MUSIC, nothing more and nothing less, as she engaged with it all her life. In preplanning for the project, a CD Demo, she came into understanding that most Record Labels wouldn’t accept unsolicited submissions and take them seriously (if at all). Hence, the birth of “Shorty Productions.” Short Productions was a fictitious name given to a fictitious company that would lend credibility to “LiL Shorty,” otherwise known as Jessica N. Abraham. This demo brought forth a lot of inspiration, inquiry and success, contrary to the actual “skills” that the artist had. At age 15, she still had a lot of musical training to go through before being impressive to ears. In early 2003, the graduation project and results from distribution were presented in front of a panel. The years in between were spent researching, recording, releasing music Online (before there were means to do so), bringing Brand Awareness to potential and converted fans, networking and seeking honest feedback on the project …all done through early Internet Marketing practices! The outcome was the inspiration to continue this process as an actual lifelong career. The years in between were spent researching, recording, releasing music Online (before there were means to do so), bringing Brand Awareness to potential and converted fans, networking and seeking honest feedback on the project …all done through early Internet Marketing practices! The outcome was the inspiration to continue this process as an actual lifelong career. At age 17, Jessica N. Abraham enrolled in a college in Orlando, FL for Recording Arts and the sciences behind it. At the time, Full Sail University was the top college for Recording Arts and “Real World Education” on an International level. Migrating from Pennsylvania to Florida, Jessica soon met others that shared her passion for the Music Business. Some of these people were also students at Full Sail, while others were not. This was the beginning of “Shorty Produkshins” and the first year of business… as an established business… yielding many successful releases overseas in the form of Mixtapes and Compilations. Over the years, and as with any company, there were many milestones and successes. But, there were also challenges. Shorty Produkshins, once an actual record label with a public studio attached (dubbed “Shorty’s Playground” by late-rapper, Demarreo “D-Mo” Matthews), was confronted with a new reality check. While many studios were closing doors, Shorty’s Playground had been doing pretty well with a new location in New Kensington, PA and business still taking place in Orlando. The reality, however, was that more and more home studios were popping up all over the place, and the average person doesn’t care about quality. The reality was that it was now a rarity to sell instrumental “beats” for more than $1000, unlike it was in the past. Actually, it was more than likely an amount to be less than $100 and 25-50% of that isn’t much considering how much work had to be put in to sell and transfer the rights to this music. People were giving away free music and free beats. And, a plethora of “so-called” producers arose all over. Simultaneously enrolled in Full Sail once again for her first of three Master’s Programs (in Entertainment Business, Internet Marketing, and Media Design), Jessica N. Abraham took Shorty Produkshins and transformed it into a full blown Online Promotions Company. Within that first year, she had the opportunity of working with other acts, Non-Profit Organizations, colleges, programs, a Social Application for Facebook, a plethora of events and even a recruitment team for models. Shorty Produkshins found itself in demand in not only Orlando, but also Pittsburgh and Atlanta. That was almost six years ago. It is now the end of 2013, and Shorty Produkshins has been home to multiple acts and Producers that have went on to do “bigger and better things.” The company has worked with many celebrities and parties, venues, festivals and events (often a packed house), small businesses and organizations, causes and charities, athletes and Social Networks. The list just goes on and on. Shorty Produkshins is home to multiple subsidiaries, including the successful J. Abraham Consultants (a “24/7 Internet Marketing Consultation by Phone” company). And while the road has not been easy, it is one to be celebrated. The company plans to do just that. Starting this month and continuing until the end of the year, a new product or service will be released every week in order to benefit those in the Entertainment Business or World of Small Business, because it is known how hard you work and it is much appreciated! Contests and giveaways will also take place, starting at the end of the month and continuing through the new year. Every month, from the twenty-first until the first, Shorty Produkshins offers a “$50 off discount on all graphics.” The month of October, however, marks a month of action, aggression and love for those who work their butts off. A new website, new services, and new content will be released! Not only will Shorty Produkshins be giving large discounts on services (including Design Strategy, Internet Marketing, Social Branding, Event Marketing, Mobile Marketing and PR), but Shorty Produkshins will also be giving college students the opportunities to jumpstart their careers, gain experience and make a little bit of money, as well!